Hello there. Here's to a relaxing weekend. I am in hibernating mode after of almost a week of traveling. While I enjoy exploring new places, sometime it can be very exhausting (a lot of walking!). So I am taking it slow right now and catching up on some needed sleep. I might write about my recent travel (if I have some energy left). 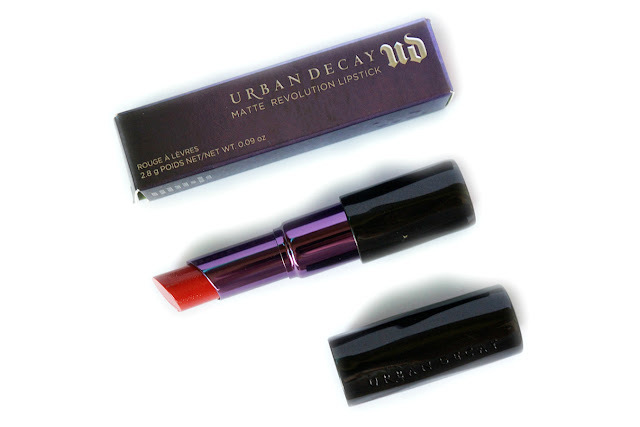 For now, I'm sharing a lipstick review: Urban Decay Matte Revolution Lipstick in Temper. 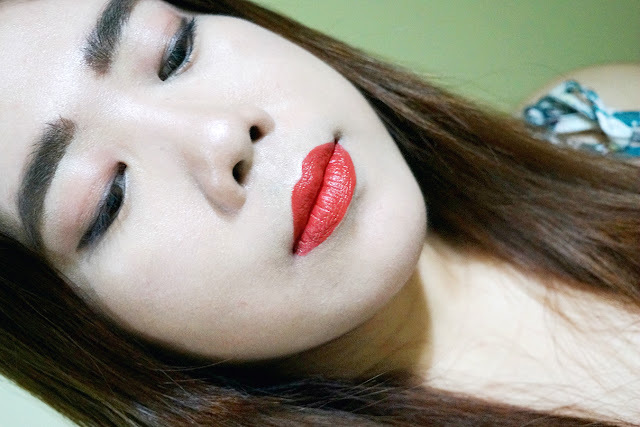 This lipstick has been discontinued, but still warrants a full review because I really like this one. 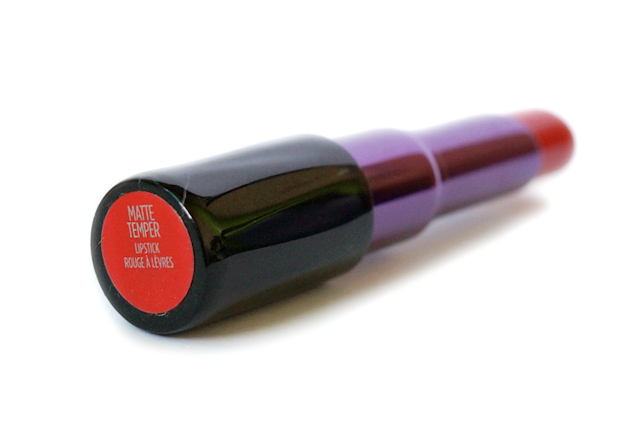 Matte Revolution Lipstick features our proprietary Pigment Infusion System, which gives the formula its super-creamy texture, insane pigmentation and superior color dispersion. We also loaded Matte Revolution Lipstick with a long list of nourishing ingredients, including a blend of avocado, olive and babassu oils. Shea butter conditions; illipe butter (derived from Malaysian illipe trees) provides long-lasting moisture; and vitamin C and vitamin E provide a hit of antioxidants. 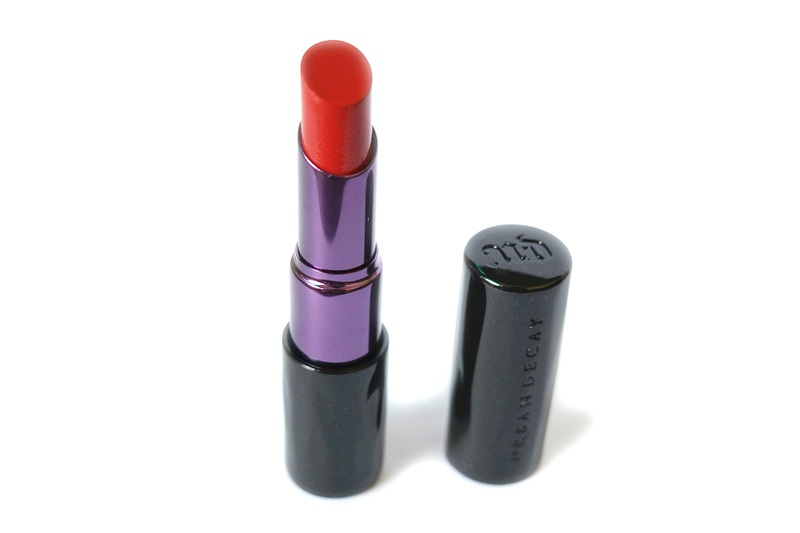 Temper is described as a "matte bright orange-red." 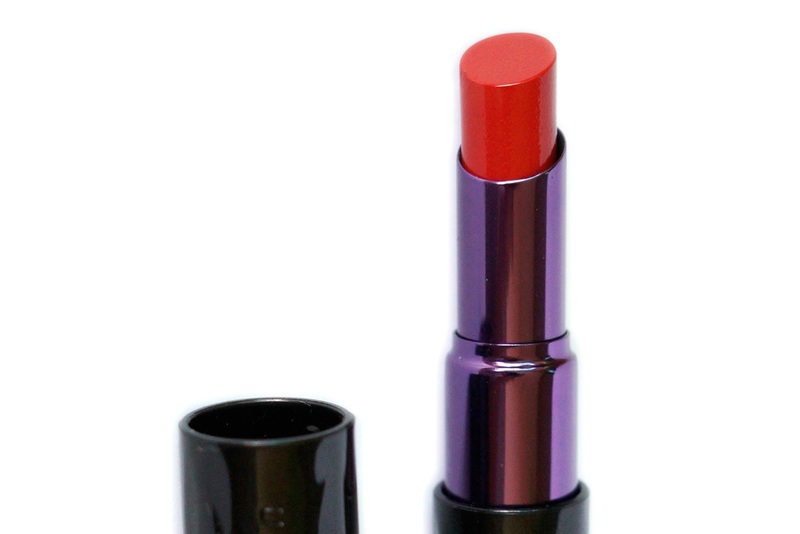 On me, the color is a bright medium tomato orange red with warm undertones. The finish is semi-matte with some slip into it. I don't particularly own a lot of orange-red lipsticks as they tend to bring out the yellow undertones of my skin and make me appear sallow. Temper's orange-red shade though has enough red so it was flattering on me. 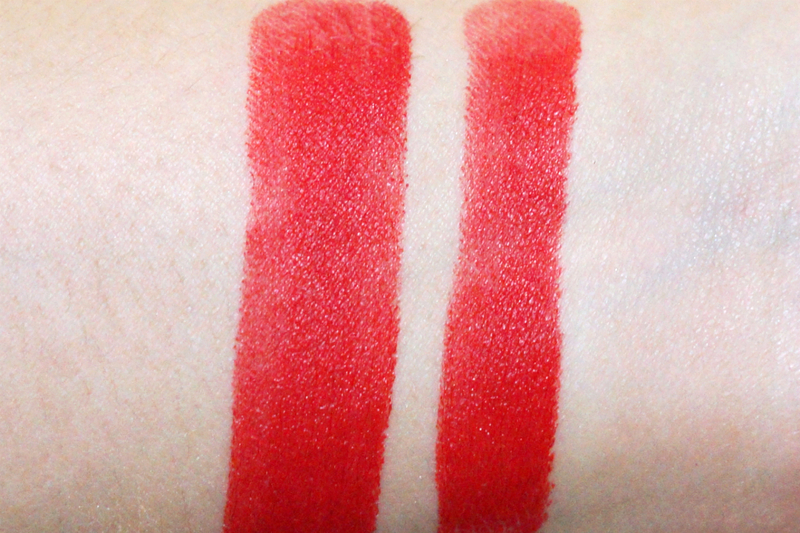 This lipstick is very pigmented and had very good color payoff, with one swipe delivering opaque color. 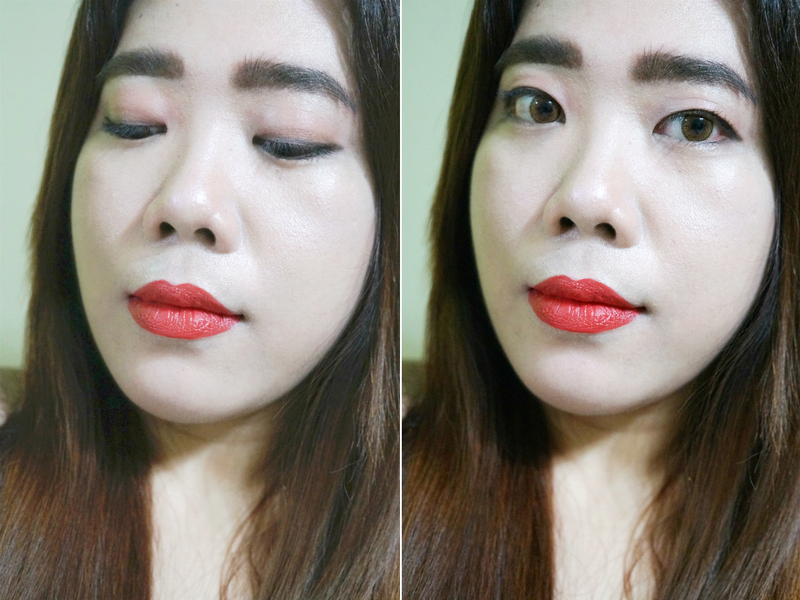 Despite being matte, application is smooth and even. 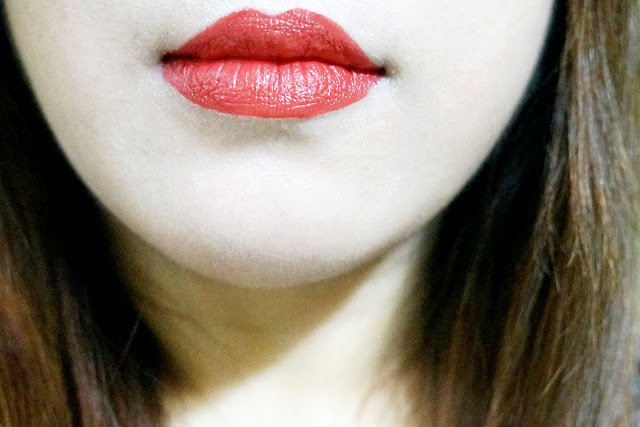 It didn't emphasize lip lines, nor accentuated any dry patches. The lipstick just drenched my lips with a bright, very flattering red color so it appeared full and pouty. The formula is lightweight. I feel that this isn't a true matte in a sense that I can still see and feel a slight creaminess which made it less drying. It feels comfortable to wear and didn't feel waxy. With the semi-satiny texture, this lipstick transfers but there's so much pigmentation that this doesn't wear away easily. You're still left with quite a bit of lipstick that just need some patting and dabbing to look good as new. There was no bleeding along the lip lines nor any feathering and the color wore off evenly. Wear time and longevity is excellent, up to six or seven hours with some light meal. 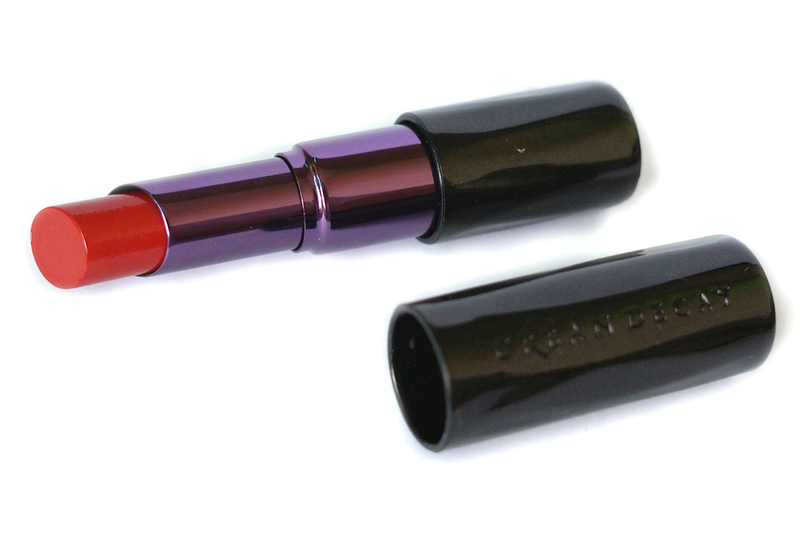 This lipstick was neither drying nor hydrating, and I didn't detect any smell.